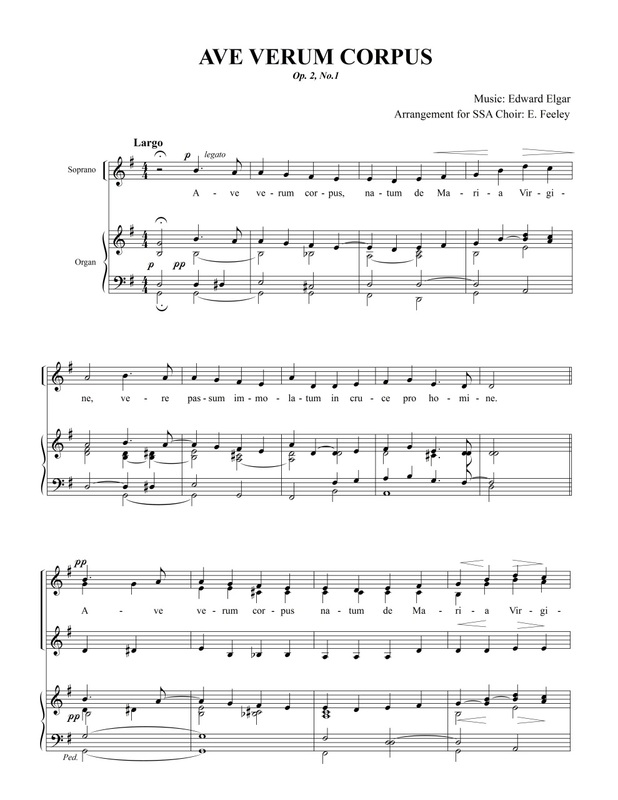 Arrangement for SSA choir of Elgar's beautiful Ave Verum Corpus. 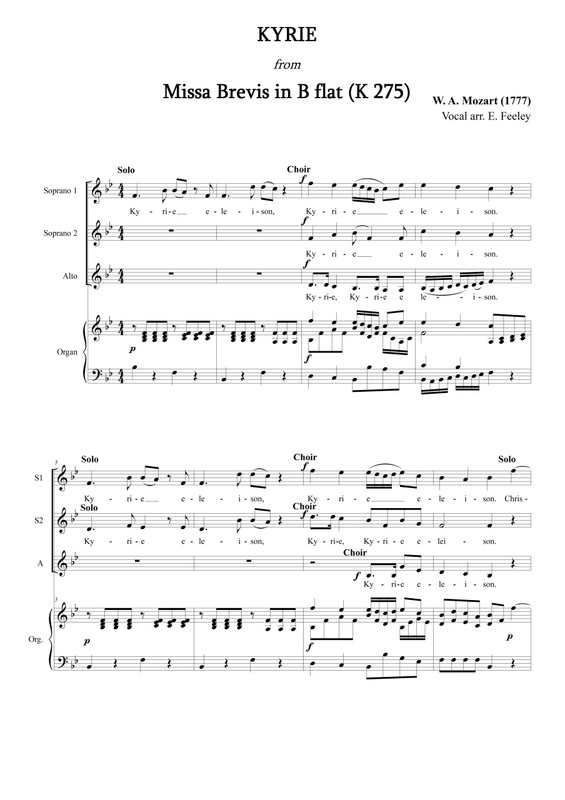 An arrangement for SSA choir, two soloists and organ of the Kyrie from Mozart's Missa Brevis in Bflat, KV 275. 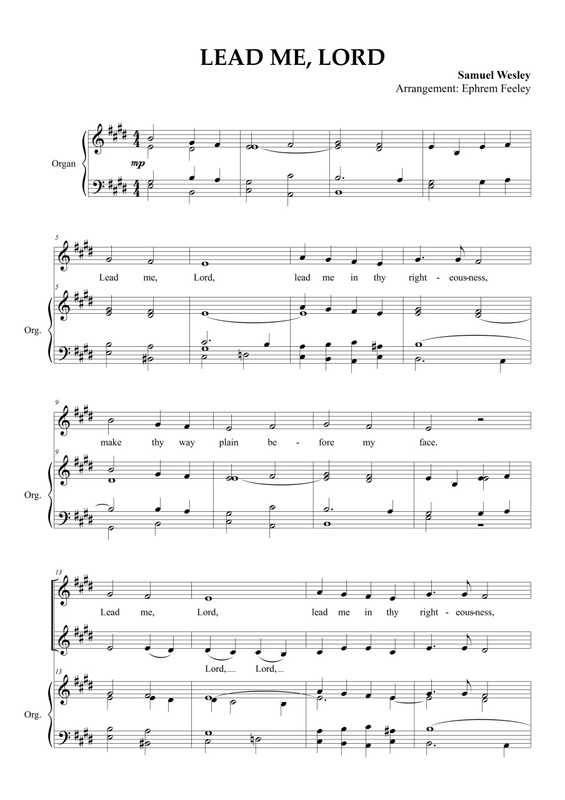 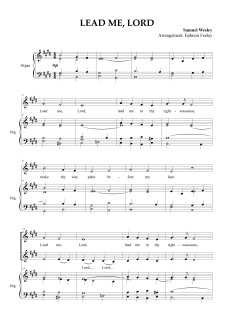 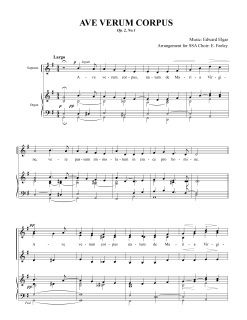 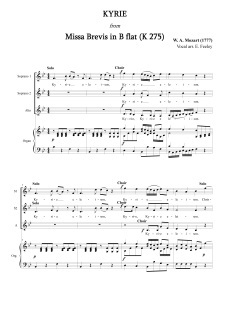 This much-loved short anthem by Samuel Wesley is arranged here for SA choir.